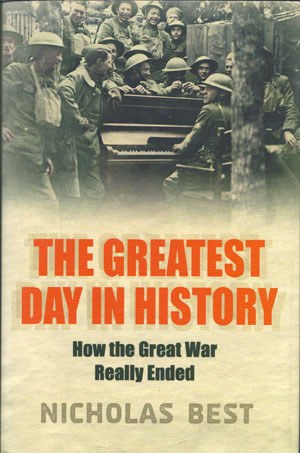 This was a Waterstone’s recommendation of the month, a very strong book about the Armistice of November 1918. Instead of regurgitating all the usual stuff, it looks at what people like Marlene Dietrich, Erich Maria Remarque, Thomas Mann, Charles de Gaulle, Harry Truman, Eamon de Valera, Gandhi, Eisenhower, Lenin and Corporal Hitler were doing on the day. Interest in film rights has come from all sorts of British TV companies and as far afield as Hollywood. At one point, I was assured in a phone call from Cannes that all the money was in place for an international TV spectacular. Then the recession struck. ‘Highly readable… Best paints a compelling picture’ – BBC Who Do You Think You Are? Where were you at Waterloo? © 2019 Nicholas Best. All rights reserved.